Hi folks, Doc here. Here's a set that is yet another benchmark of the Classic Period of Gilbert Erector, the No. 7½ "White Truck" set. This pictorial features the No. 7½ from 1928. As I have noted in similar features here on G&G, Gilbert kicked off the Classic Period of Erector in 1924 by introducing specialty parts to the Erector inventory that were designed to build a specific model, in this case the White Truck. The No. 7½ was later followed by sets designed to build the Zeppelin (see that set HERE) and the Hudson locomotive, among others. The White Truck first appeared in an Erector manual in 1926. 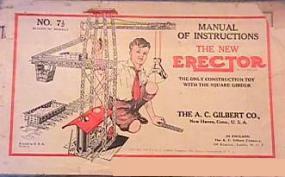 Gilbert based his Erector version on a pressed steel toy truck of the time, which in turn was modeled after a real truck made by the White Motor Company. 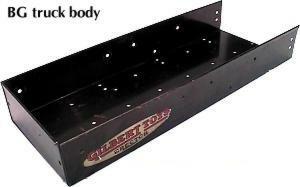 To build the truck model, Gilbert introduced 17 new parts made specifically for it. These parts were included in the top-of-the-line No. 10 set that year. But, as was often the case with other famous Classic Period models, Gilbert also added a new set to the 1926 Erector line to feature the White truck, which he dubbed the No. 7½. This set, which appeared with different names throughout its 7-year run, came to be known simply as the "White Truck Set" by fans and collectors. Like many other Classic Period sets, the 1928 version of the No. 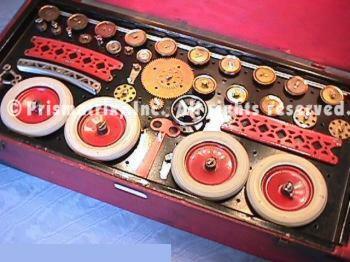 7½ came packed in an attractive red and black painted wooden box with brass corners, sidegrips, and latches. 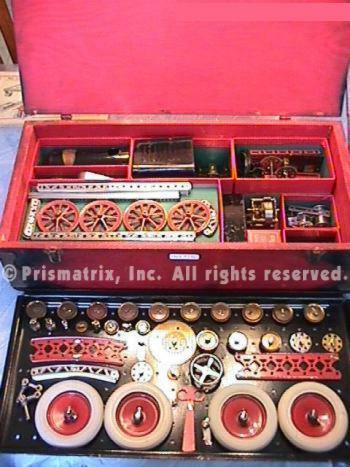 The box measured 22¾" x 10¾" x 5¾"; the parts were packed in two layers, the top layer being a black painted metal tray which had holes for attaching the parts it held, which included gears, pulleys, big channel girders, and four DM wheels and DR rubber truck tires. 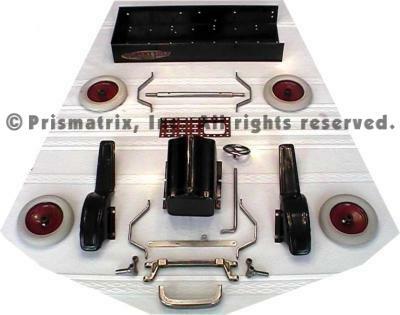 Beneath the metal tray, five deep cardboard trays held the P58 motor, White Truck hood and fenders, scoop shovel, and boiler, motor gearbox, and other parts. 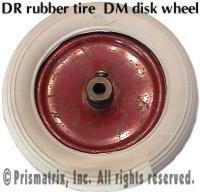 A sixth shallower tray held most of girders and strips, along with four spoked wheels. This tray rested on top of the inverted White Truck bed; under the bed were stored Steam Shovel roof panels, longer axles, and various sizes of base plates. In the right front corner of the box the screws, nuts, and the smallest parts were packed in two red parts boxes (see below). While the No. 7½ set underwent changes over time, so did the White Truck model itself. 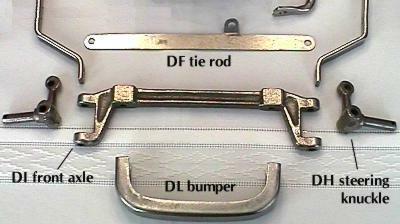 More precisely, the special truck parts changed from year to year, although the basic truck design remained the same. The foundation of that design is the White Truck chassis (see manual illustrations below). Consisting of a hood, fenders, dashboard and floorboard on an open frame, the design was open to numerous interpretations. In fact, the No. 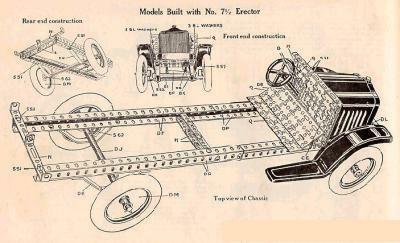 7½ instruction manual features no less than sixteen different variations on the White Truck, including a dump truck, delivery truck, fire truck, lumber truck, etc., all built upon the basic chassis. 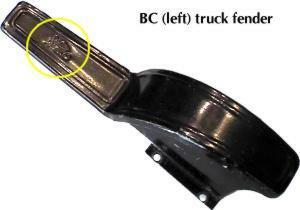 The chassis incorporated all but one of the aforementioned special truck parts; the 1928 versions of these special parts, including the BG truck body, are shown in the photos below. 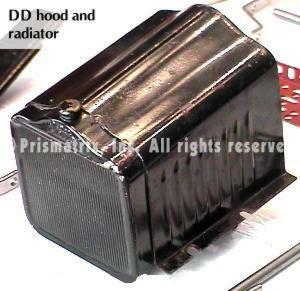 The one-piece radiator and hood assembly featured a separate brass radiator cap which was attached to the top of the radiator at the factory; after 1928, the radiator cap was simply a dimple pressed into the steel. 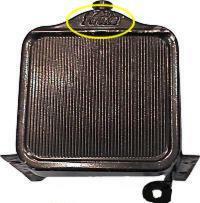 Both the radiator and the fender step pads feature the "White" logo embossed into the steel (yellow circles). 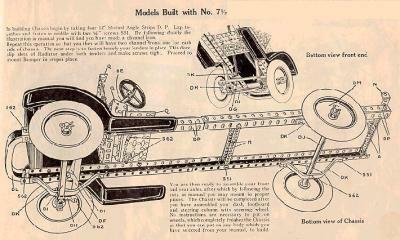 Also, note the cast front axle and steering knuckles: after 1928, these parts were made from pressed steel.